Public Cryptocurrency is also experiencing growth and development as well as technology that has always evolved. If you have been involved in the world of cryptocurrency since 2017, then you will know what ICO is. Where when that year, ICO was very popular and also the price of BTC had touched its highest price at 19k USD. 2017 is the golden year of the crypto community, where everyone can earn money in various ways, and the most popular is buying ICO coins. The ICO is an extension of the Initial Coin Offering, which means that the offer of new tokens to investors with the aim of raising funds is where the purpose of the fundraising is to finance the timeline project that is being planned by certain developers. Investors expect to get a profit when the ICO coins they buy price go up when they enter the exchange. However, the crypto world crisis in 2018, made all investors angry about the ICO. Many abalone developers entered and tried their luck by holding their own ICO, and the result was a SCAM. Not only on one or two projects, but every day there must be a SCAMMER trying to hold an ICO to get personal benefits. This causes the ICO world to be abandoned by all users. To the late and less educated bounty hunter forces, the bitcointalk forum became a SPAM forum. Until finally theymos as the admin in the forum applied a new rule, namely by adding merit features. Which is not everyone can easily increase their rank in the forum. 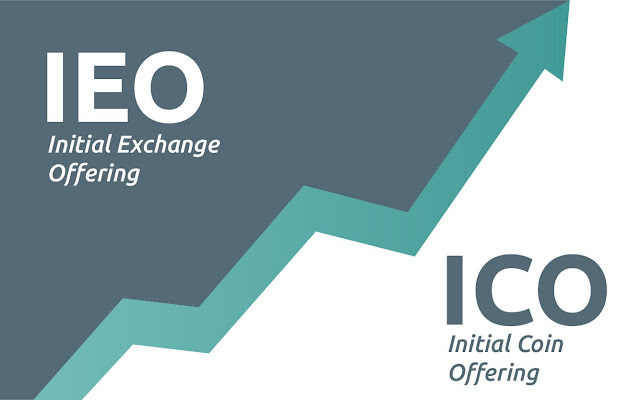 The IEO (Initial Exchange Offering) is a means of raising funds from developers who work with the well-known Exchange to sell prime tokens. The IEO is now a prima donna for investors because we can ensure that the related tokens will definitely be on the list of exchanges that sell these tokens. With the IEO, the role of Exchange in securing transactions will become more dominant and vital. However, the strength of the exchange cryptocurrency security system has made investors feel more relieved and happy. Because the possibility of a SCAM is very small. The IEO can get higher trust from investors because of the existence of a highly trusted exchange. Everyone is sure, that in order to collaborate with large exchanges such as Bittrex, Binance, Digifinex, some heavy requirements must be met in order to pass the qualification and be able to raise funds in the related exchange. Also, when investors make a deposit, they will feel safe because the fund holder has experience in handling millions of dollars in funds. The IEO has several advantages which of course can make a consideration for investors to be obliged to attend this IEO event. When funds from investors are handled by an exchange which incidentally is included in the most influential cryptocurrency ecosystem, you will feel safe and do not need to fear the occurrence of scams. The identity of the exchange owner is clear and if there is fraud, of course it will only harm the deceiving party. In this case, I declare that doing business with a large exchange of cryptocurrency is very safe. Exchange cryptocurrency has been around for a long time, that is, since the existence of bitcoin emerged. That way, their experience in managing funds from all traders, and also users is a very valuable experience that can be taken into consideration by investors. A very regular management hot wallet and cold wallet, of course, will make investors more comfortable to cooperate. Having a number of users that are not small, every Exchange that holds an IEO will be easier to do marketing. It is even easier when large exchanges are carrying out the IEO, where bounty hunters are not needed here to be able to attract investors around the world. With just one chat on Twitter and Facebook, all users will get a notification. IEO is easier than ICO, because it is handled by experts directly. You can purchase new coins just by logging in the related exchange, and making a purchase at the specified time. Developers and Exchange are the most important parties here. Both parties get some benefits when conducting the IEO. Namely, developers get the convenience of raising funds safely and getting investor trust easily. Developers no longer need to bother making Smart Contracts as they do when holding an ICO. Because there have been cases of errors in writing the Smart Contract code from Ethereum written by the ICO PayPro Team. So that the fund of 3 million USD can not be liquidated and settles in the wallet Ethereum is empty (no man's land). Of course the exchange also benefits, namely they can promote coins native from their own Exchange. As a small example, BNB which is a native coin from Binance is used to purchase IEO coins at Binance LaunchPad. This of course will improve the liquidity of native coins for each exchange that holds the IEO. And most likely, native coins from the exchange tend to rise in price. There is no doubt that the exchange is always trying to improve the security of its system to avoid hacking cases. They realize, in safeguarding the money of all their users, they have to pay a lot of money to do security for their funds. Routine system maintenance, of course, makes the security system of the exchange unquestionable. The lack of bugs in the system, of course, will make a positive value for investors not to think too long in participating in the IEO event. In the coin listing, the exchange will register related coins when the IEO has been completed, so that the developer does not need to bother making file submissions to do the coin listing. This is also the most awaited moment for investors, because they can start selling for profit or they can start trading. Welcome to the IEO era, where everyone will be safer and more comfortable to benefit from cryptocurrency. Goodbye to the ICO and the bounty hunters who have been affected by SCAMMER during this year. Whether we want it or not, we must still be able to accept this development. I am also very sick, because whenever technology is always developing, the existence of this IEO will certainly also be replaced by other fundraising models that will emerge in the future. Because I'm sure there is nothing eternal, especially in the internet world, netizens are the highest judges.